Do you remember Little Mikey from the Life commercials in the 1970s? The commercial, which starred cute freckled John Gilchrist, is still considered one of the longest running commercial campaigns ever aired. The spot opens up with three brothers having breakfast with each other. A bowl of Life cereal is pushed from brother to brother, the oldest pushing the cereal towards Mikey, the picky eater. Mikey starts eating the cereal and the boys exclaim the famous catchphrase, "Mikey likes it!" proving if Mikey likes it, it must be good. Now over forty years later, (and little Mikey is all grown up), the Quaker Oats company is looking for a new Mikey to take a seat at the breakfast table. 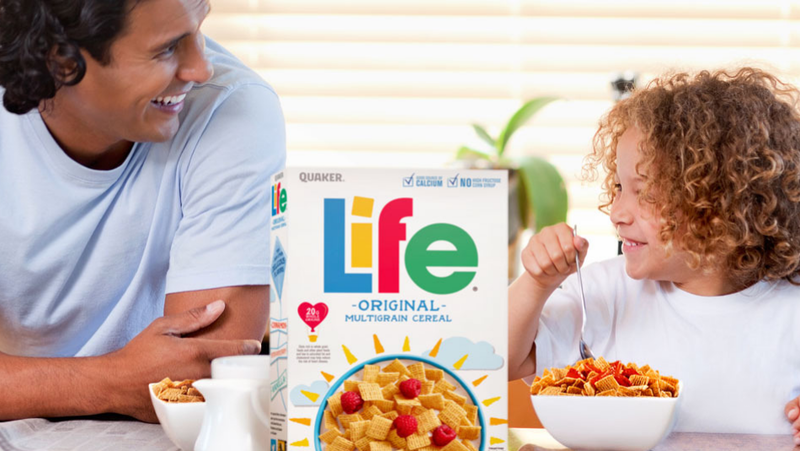 According to Life Casting Contest, the cereal brand is casting for their newest commercial and your child (or grandchild) could be the next big star! To enter, submit a video of your 4-8-year-old reading the commercial script for a chance to win a trip to audition for a Life cereal ad. The script only has four lines, so if you think your little one is up to it, submit a video by May 27, 2019. Three prizes will be handed out, and one of the winners will act in the Life ad, making television history. Or better yet, attend one of the live casting calls taking place across the United States. budding actors and actresses can attend one of the events hosted by Walmart at the following cities: Charlotte, NC, Los Angeles, CA, Dallas, TX, Orlando, FL and Chicago, IL. Due to the nature of the casting call time limits, casting directors will only audition the first 150 children that show up. Thankfully you can always send it a video online.